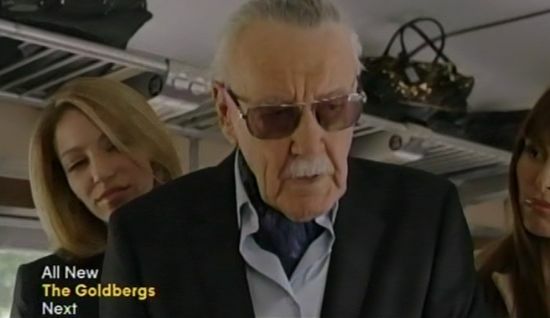 Stan Lee is known for making cameos in Marvel movies. Stan Lee also recently joined the Marvel TV universe by making a cameo on ABC’s Agents of S.H.I.E.L.D. Now, Stan Lee has officially committed to a cameo for another upcoming TV project. Back in November of last year, Netflix and Marvel announced a deal to develop a number of TV series based on Marvel characters, including Daredevil, Jessica Jones, Iron Fist, and Luke Cage. During an appearance at the Wizard World New Orleans Comic Con, Stan Lee was asked if he would have a cameo in the Daredevil TV series. Of course, Stan Lee has mentioned movies for all these characters being in the works in the past. It’s interesting to note though how he lists Doctor Strange first and says they are figuring out a way to do the film. In regards to the other characters, Stan Lee says “thinking” about Black Panther and “talking” about Inhumans. Based on recent rumors and what we’ve also heard, Stan Lee’s comments seem to line up with what is actually happening. Doctor Strange is actively being worked on, while Black Panther and Inhumans are more in the thinking and talking stage.